Strange how seemingly trivial things endure as lifelong memories. Popcorn, for example. Not just any popcorn. I'm talking Al Pawlik's popcorn. 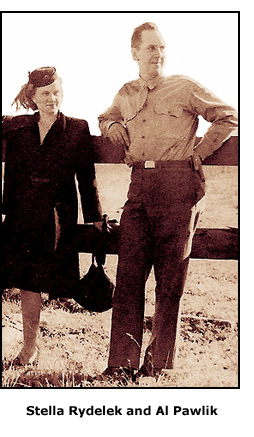 My mother didn't like to socialize – a trait she passed down to her two children – but she made an exception when it came to her best friend, Stella Rydelek, who after a long courtship that started before World War II, finally married Al Pawlik during the first Harry S Truman administration. There were occasional visits to and from relatives, but the social life of Helen and Buster Major – during my childhood, at least – revolved around Stella and Al. Given the choice, my sister and I preferred seeing them at the Pawliks' place rather than invite them to our house. The reason – as it was in so many Major-Smolinski matters – involved food. Al Pawlik made the world's best popcorn. That's how I remember it, though I realize you cannot completely trust memories that go back more than 50 years, which was about the last time I tasted Al's popcorn. So as I often do, I ran it past my sister, whose brain is five years younger than mine. Yes, she said, Al Pawlik DID make the best popcorn. Trouble is, neither Mary nor I ever knew just how Al made his popcorn. He didn't butter it, but his popcorn had a unique, delicious flavor. He claimed there was no special oil involved – Wesson, he said, was as good as any. That's not to say Al used Wesson Oil. He remained vague on that point. In fact, years later I thought of Al's attitude toward his popcorn when talking with my father-in-law who had been a Coca-Cola vice president. I knew him well enough not to ask, but there was almost always someone who'd want to know the Coca-Cola formula, supposedly one of the world's best-kept secrets. That's how Al Pawlik was about his popcorn. WHEN WE made popcorn at home, my father and I used whatever oil was handy. It was usually Wesson, but over time I also popped it in Mazola, Spry and Crisco. I suspect Al, who in a lot of ways was ahead of his time, used olive oil or peanut oil. Neither did we know how much oil he used. His finished product was always tasty, but never oily. The kernels were crisp, never tough, never burned. And all of them, it seemed, had popped, which is an impossibility, though, knowing Al, he might well have left the unpopped kernels in another bowl, one from which the smaller bowls were filled. We never watched him make popcorn. Al was self-conscious, and self-conscious people are usually secretive and private. He wanted no one in the kitchen while he worked his magic. Besides, he seemed to dawdle; he took longer to pop his corn than we did at home. Mary and I – even my father – made no real effort to observe the popcorn master at work. FAST FORWARD to early 2004. Al Pawlik had been dead for nearly 15 years, but lives on in my thoughts. I'm perusing the National Enquirer – for its lifestyle articles, of course – and there between stories about Paris Hilton's work with impoverished families and Jessica Simpson's tips on maintaining a successful relationship was a story that explained the secrets to making great popcorn. Knowing that the National Enquirer is our most-trusted news source, I followed the article's advice. No longer would I employ the technique I had learned from my father, who always popped corn at the highest heat available on the stove top. 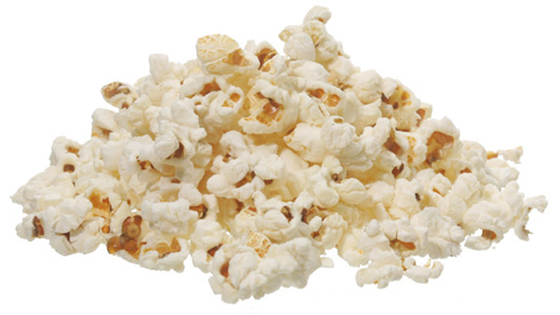 OBVIOUSLY, I'm talking about popping corn the old-fashioned way, which is uncommon these days when most people stick a pre-packaged mix of kernels and oil into a microwave oven. There are about a million microwave products available, everything from butter-soaked popcorn to stuff so dry and flavorless that even pigeons won't eat it (though it's a great substitute for bubble-wrap when you're shipping something fragile). There's also microwave kettle corn and products that promise the taste of movie theater popcorn, a promise you can believe only if you attend a theater that, heaven forbid, microwaves its popcorn. While you can't quarrel with its convenience, all microwave popcorn is a hideous excuse for the real thing. I found my popcorn was much improved when I lowered the heat and used light olive oil. My popcorn is consistently fluffy and almost completely popped. Alas, it still isn't quite as tasty as Al's. I still think he used a special oil. NOTE: At some point you might take a long look at the photo of Stella and Al that accompanies this page and wonder what happened to Stella's left leg. It's hidden from view because she has bent it behind her like you'd see most often in countless old movie scenes that showed a couple standing and sharing a kiss. It was a coquettish thing to do, and while it serves no such purpose in this photo, it's a reminder to me that Stella was perhaps the most coquettish women I've ever met. When she was trying to be cute, she'd refer to you as "Sugarplum." No one else ever called me that.